Ever ask God to give you a grace and He whispers something you are struggling with? I struggle so much with forgiving and loving myself. Often times my spiritual director will ask me, “I hear what you are saying but I don’t hear any forgiveness. Have you forgiven yourself?” A few months ago, when I went to confession, Father asked me to write a list of things I was good at and read it daily. Can I say as of yesterday I still have not compiled that list. It has constantly come up on my conscience. This morning, I asked God to give me a grace for my challenges. He whispers to me, ” Love, love yourself and that list Father gave you was not his request but mine.” Big gulp! So I am in my prayer chair, I grab a journal and begin to write. What a struggle. I did write a list, but as I wrote and read, I kept thinking well I’m not that good at this because of this but I’ve been told I’m good at it. I am so much a critic of my own self. What is my comparison? Perfection! And I think that some things in my story have impacted the way I see myself and strive to be perfect always trying to look where I didn’t do something good and adjust or try to improve but at the same time beating myself up over it. 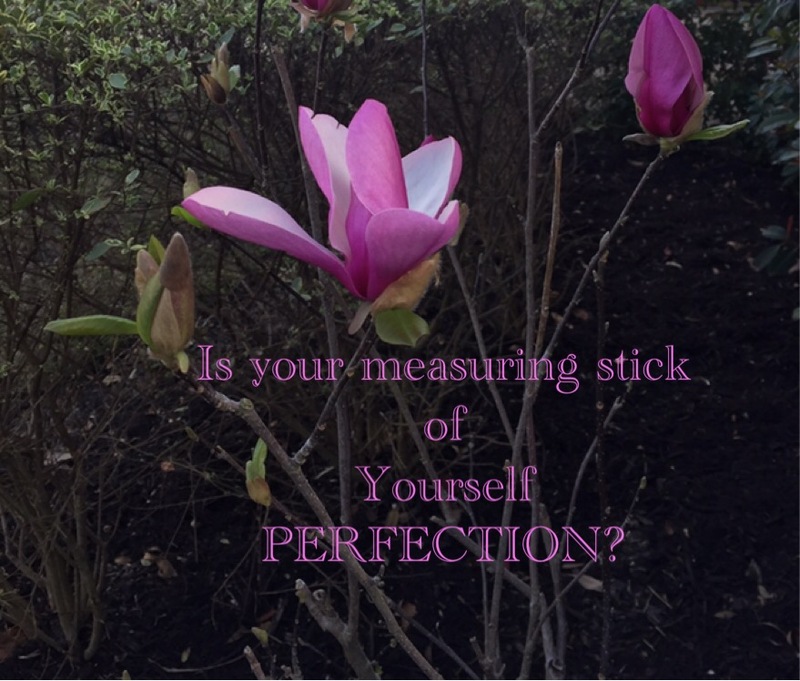 Are you measuring yourself to PERFECTION? Love yourself and look for the good in all things because that’s where God is present. God bless! Previous Previous post: Have you told yourself you love yourself today? Next Next post: Ripples of the Holy Spirit – are you open to receive them?